This heavy duty hand cleaner is designed for use in mine sites, garages, manufacturing and engineering workshops, auto repair and maintenance workshops. 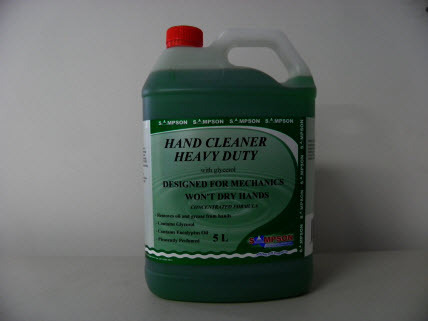 Removes stubborn grease, oil, carbon and general soiling. Contains Glycerol, Eucalyptus Oil and is pleasantly perfumed.